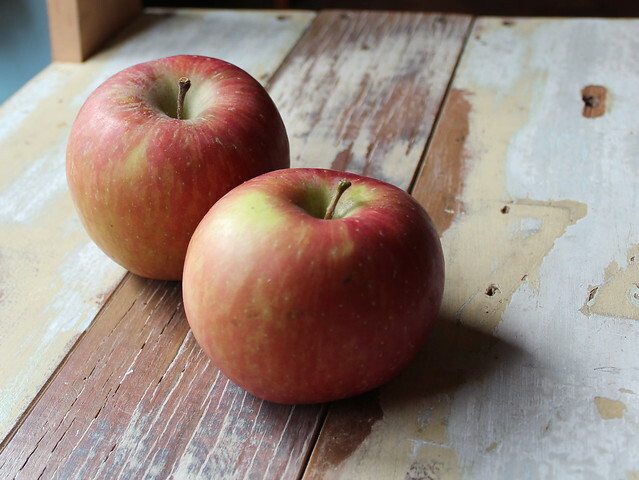 Fuji apples are not the prettiest apples around – they’re not ugly like the lumpy mishapen Calville Blanc d’Hiver but more of a plain Jane type of apple. The skin is dull and they’re a nondescript apple colour. 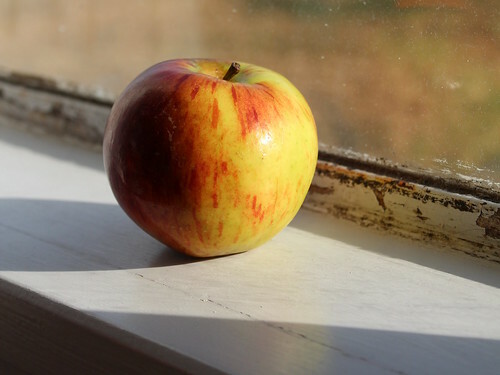 But as the saying goes, don’t judge a book by its cover – these apples are much more than their outward appearance. 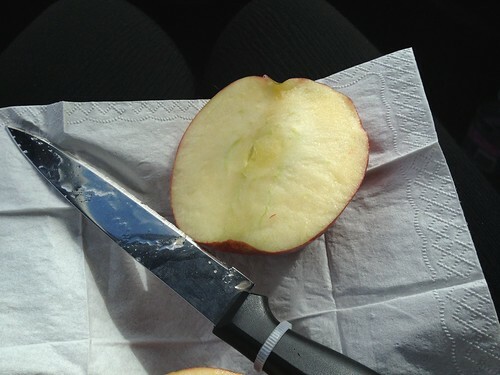 I was a little anxious about trying a Jonagold apple. 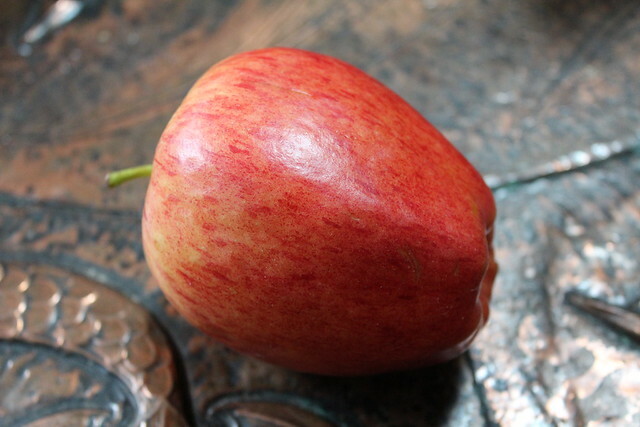 I had boldly proclaimed the Mahana Red to be the best tasting apple ever (well, that I have ever tasted anyhow). My dad’s cousin promptly challenged my claim, saying the Jonagold was better. Everyone is entitled to their opinion but I hadn’t tasted a Jonagold so I was in the dark. 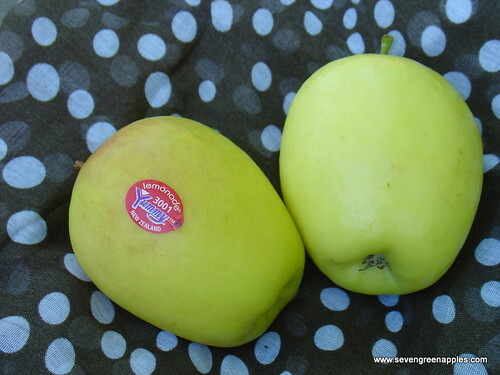 My anxiety was caused by Jonagold’s not being available in my home town, so if they are truly the best apple, I will be forever wishing they were available….. or I will have to pull out a tree from the orchard in order to plant a Jonagold tree. My sis-in-law was designated driver and I was the map reader…. we were off to visit some gorgeous (hopefully) Tasmanian wildlife at Trowunna Wildlife Park. It was our first day driving Myrtle, our delightful little blue Micra. The clutch and brakes were interesting and it took a little while to settle into driving a car “new” to us. Add to that map reading in a country “new” to us, road rules a tiny bit different to New Zealand, and sharp knife (I like to cut apples into quarters rather than bite into them as a whole apple (legacy of a broken front tooth))…… it was a tricky operation even if I was only the passenger. So Jonagold…… what was the verdict? The apple was very juicy – I dripped apple juice all over my map of Tasmania. It was nice (the apple, not the map) and crunchy, very refreshing. But flavour wise – Mahana Red still rules. I found the Jonagold to be very mild in flavour, so mild it was sort of like eating crunchy water…. The other aspect of the Jonagold I noticed was the flesh was squeaky on my teeth – Jonagold’s are the brazil nuts of apples (Brazil nuts are a great source of selenium so we introduced 3 brazil nuts a day into our diet. I think I am the only one that still eats them (occasionally) as APML found them to be too squeaky to eat. Weather-wise, Autumn is my favourite time of the year. Early Autumn, the days bud a little chilly and bloom into clear sunny blue-skies. 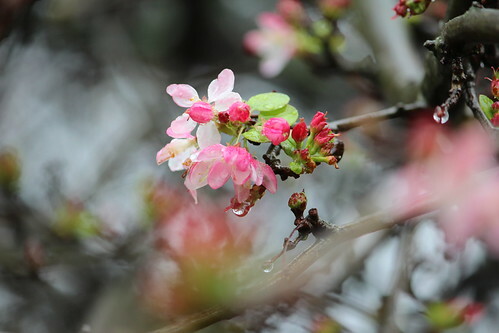 Happy, cheerful March days full of promise. 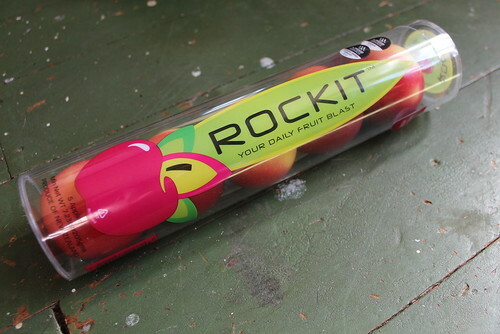 Fruit-wise, it is a little sad to say goodbye to the delicious stone-fruit season. Late peaches are harder to find and plums are getting more scarce. 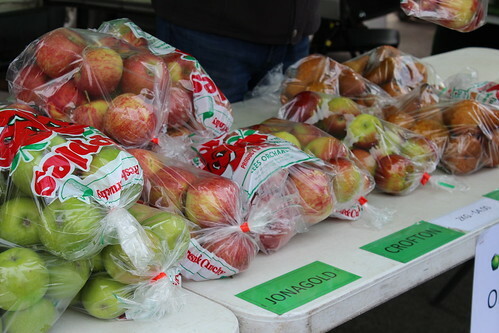 The upside is new season apples flooding the markets.